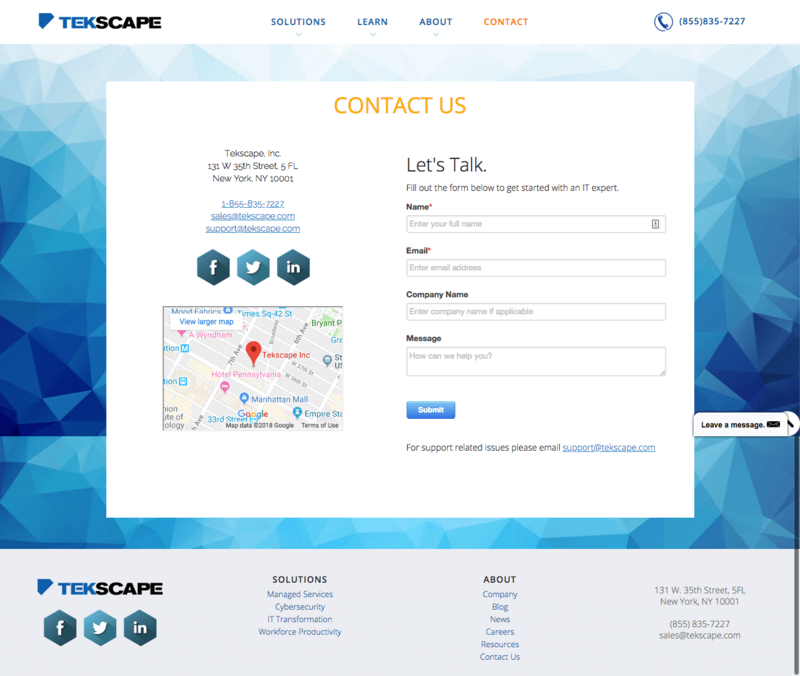 Tekscape is a B2B company based in New York City that specializes in IT Managed Services, Cybersecurity, IT Transformation, etc. 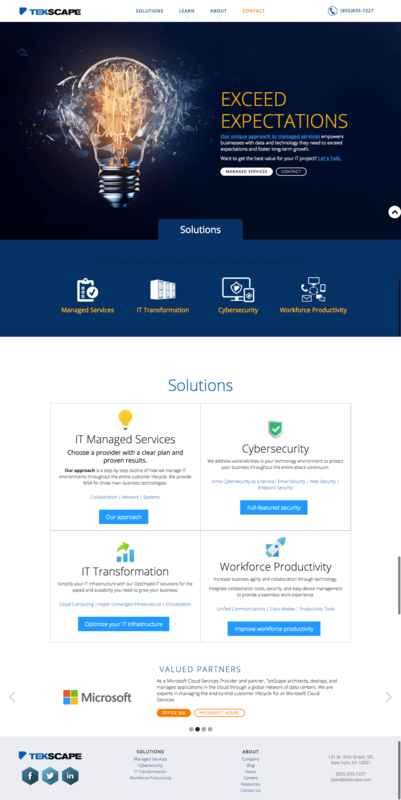 They had an existing site that was pieced together over a number of months, but wanted a more engaging, polished, and uniform look. 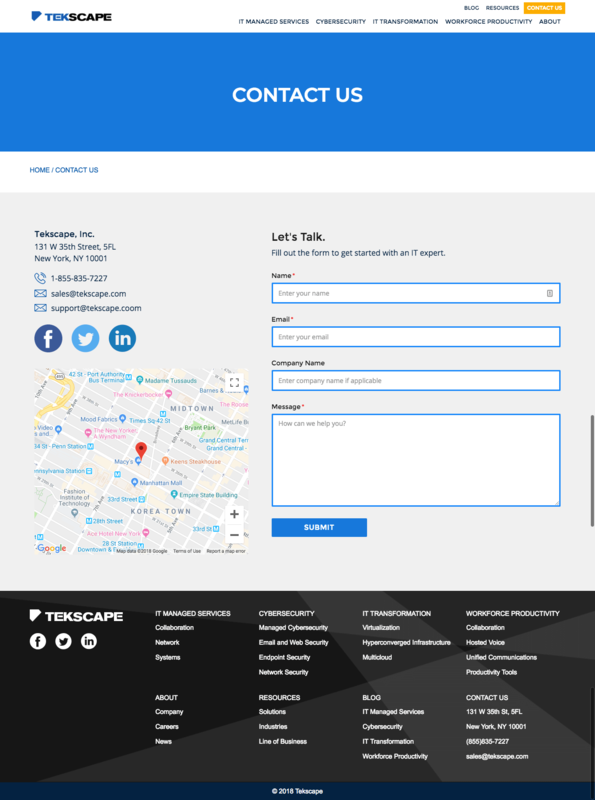 The new site was designed and built by me and utilizes a content management system to help the Tekscape team make updates to their content. 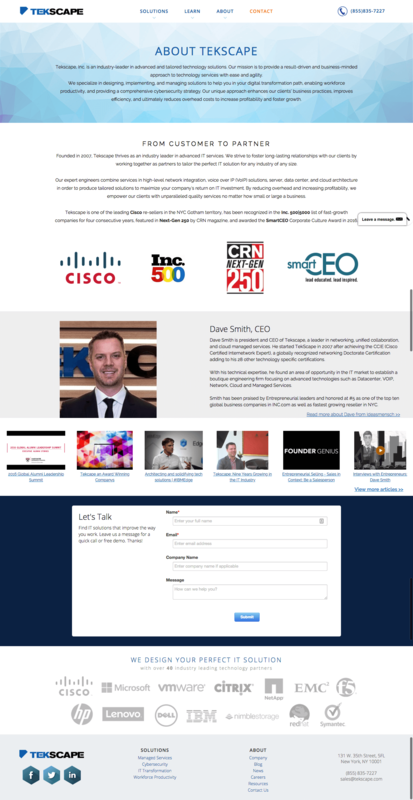 I incoporated different interactions throughout the site to bring it to life a bit more than a static site would be. Be sure to check out the live site to experience the interactions! "Carly was very helpful making sure we had all the elements we needed to make the website user-friendly. She was great to work with and we'll definitely use her services again."